The Chartered Financial Analyst (CFA) Institute aims to lead the investment profession globally by promoting the highest standards of ethics, education, and professional excellence. The CFA designation is the most respected and recognised investment management credential in the world. The University of Canterbury (UC)’s Bachelor of Commerce major in Finance has been acknowledged as incorporating at least 70 percent of the CFA Program Candidate Body of Knowledge (CBOK) and as placing emphasis on the CFA Institute Code of Ethics and Standards of Practice within the program. The programme positions students to obtain the Chartered Financial Analyst® designation, which has become the most respected and recognised investment credential in the world. The Bachelor of Commerce degree, majoring in Finance, provides students with a strong foundation in corporate finance, financial markets and institutions, and investment analysis. The program covers a wide variety of challenging topics included in the CFA Exam Level I, Level II and Level III curricula. Students are well prepared and encouraged to sit for the CFA exam Level I by the time they graduate from UC. Since 2011, most UC-sponsored students passed the CFA Exam Level I on the first try. Entry into the CFA Institute University Affiliation Program signals to potential students, employers, and the marketplace that the University of Canterbury curriculum is closely tied to professional practice and is well-suited to preparing students to sit for the CFA examinations. 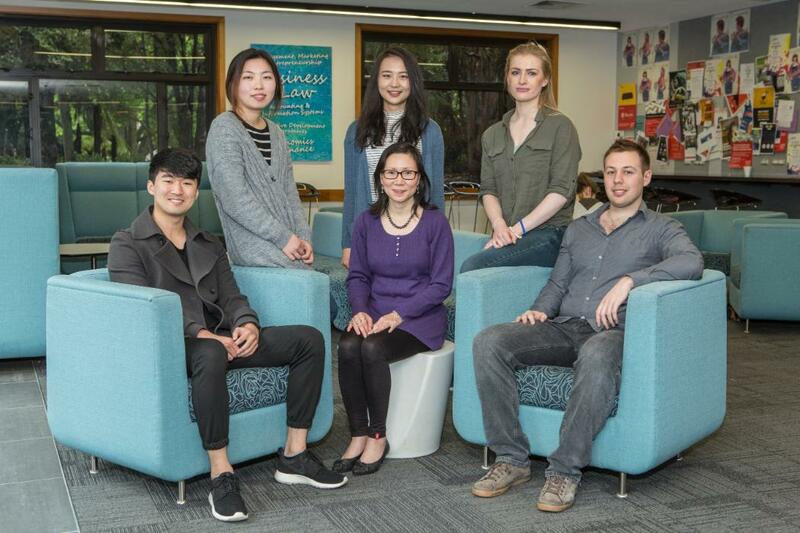 Through participation in this programme, the Department of Economics and Finance at the University of Canterbury is eligible to award a limited number of scholarships to UC students to take the CFA exam in June and December each year. A call for scholarship applications to take the CFA exam Level I will be announced twice a year. Students will need to prepare for the exam before applying for a scholarship and before a decision can be made. For further information about the CFA exams, please visit the website. Students with a strong background in Economic, Finance and Accounting are also welcomed to apply to represent UC at the CFAI Research Challenge. For further information about the annual competition, please contact Dr Huong Dieu Dang, CFA. The following mapping guide includes the CFA Exam Level I topics covered within the Bachelor of Commerce major in Finance program. In each U.S academic year the Department of Economics and Finance can nominate six students for the Awareness Scholarships to take the CFA exam in either December or June the following year. The next round of scholarships will be for the June 2019 exam Level I. If you plan to take the exam level 1 next June and would like to apply for the registration fee waiver scholarship you should email a one-page cover letter and your CV to Dr Huong Dang at huong.dang@canterbury.ac.nz (subject: CFA exam scholarship application). How well have you prepared for the exam? You may include a specific study plan. How would the scholarship and the exam help you achieve your professional goals? You may include a one-page study plan at the end of your application. Please combine your documents in one (and only one) pdf file. If you submit more than one files, only the first one will be considered. The deadline to apply for a scholarship to take the CFA exam in June 2019 is 4pm (sharp), 24 Aug 2018. Late submissions will not be considered. There will be no other call for scholarship applications this year.